In “The Mermaid and the Prince of Dirt”, Angeline Woon takes the exploration of essential otherness in Hans Christian Andersen’s “The Little Mermaid” and reworks it into a tale of disability and trying to fit into a world that actively prevents spaces of accommodation. The Little Mermaid was already a tale about ideas of belonging and spaces that prevented access, but Woon’s reimagining of the tale focuses on the way that our social and physical environments are made to exclude and reject certain bodies. Woon’s narrator is a mermaid who sought the land not due to her obsession over a human prince, but because she wanted to escape the control of her older sisters who regularly made decisions for her. As a mermaid, she already felt like an outsider. Annalee seeks out a witch who can give her access to the surface world and, like the mermaid in Andersen’s tale, Annalee gives her voice in order to gain the ability to walk on the surface world. Annalee doesn’t rankle at her loss of voice and finds that as long as she can move and dance, she can express herself, but her sisters view her as incomplete without having a voice and decide that she can’t be complete unless she has one, so they unilaterally make the decision to trade with the witch to get Annalee’s voice back. The witch decides to take away most of Annalee’s legs as part of the bargain and Annalee becomes a wheelchair user. Decisions over her body are still being made by her sisters and she is assumed incapable of making her own decisions. Rather than seeking a prince, Annalee finds Liam, a person who experiences mental health issues, but is also willing to believe her when she says that she is a mermaid, which most people refuse to do. Although Liam doesn’t come from noble blood, he is a prince to Annalee because he is one of the few people who is willing to make spaces accessible to her body. Woon’s reworking of The Little Mermaid becomes social commentary, bringing attention to the way that accessibility is still not a priority for most people, issues with government financial assistance (both the lack of it, and the constant requirement to prove disability), and the willingness and readiness of our society to assume the worst of people experiencing mental illness. “Grimm Fairy Tales Presents The Little Mermaid” was initially a bit off-putting since the art seemed to mirror the comic book exploitation of women’s bodies, but Brusha, Finch, and Mendonca present a Little Mermaid tale that explores the clash of science and fairy tale. Erica, the mermaid, has spent her life uncertain about her background or parentage, but she knows that she is able to take the form of either mermaid or human. Her destiny and identity are taken away from her by scientists who seek to unravel the magic of her body to adapt it for military purposes. Her body ceases to be a vessel of magic and becomes a vessel of war as her biological uniqueness is spread to others. Erica finds herself caught between worlds as the armies of Atlantis clash with the scientifically constructed creatures of the surface. 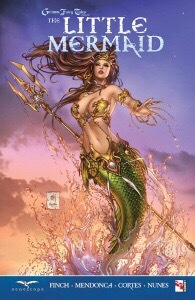 Like Hans Christian Andersen’s tale, Zenescope’s comic is a tale of fluidity, of change with a mermaid trapped between worlds and identities, seeking out an understanding of herself and her position in a world that has been torn in two. This is a story of science clashing with magic, medicine colliding with wishes, and above all, it is a story about uncertainty. 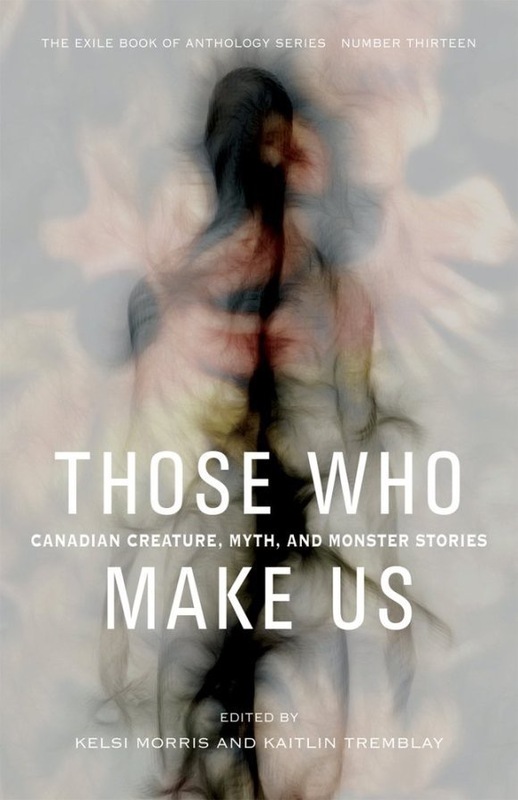 The graphic medium of the story allows for an exploration of the physicality of the mermaid, illustrating Erica’s transformation between forms and the horror that runs like a tide through this story of different types of embodiment.